The Gatormade low boy car trailer is one of the most versatile trailers in the industry. 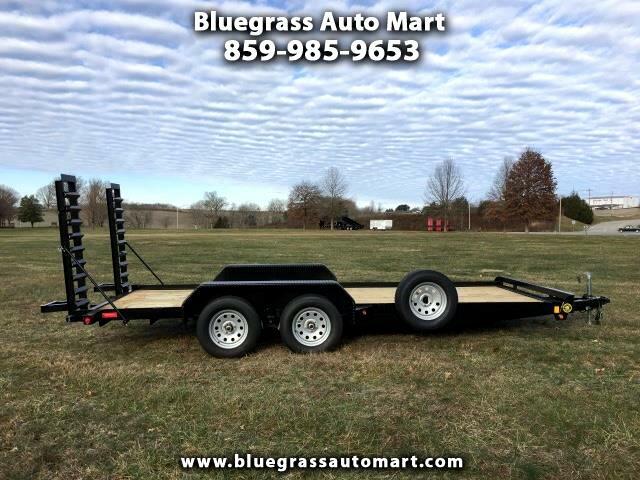 This trailer is a truly a multi-purpose trailer that is a perfect compliment to those who need the added carrying capacity of a tandem trailer along with the convenience of ramp style loading. The trailer is designed with two 3500 lb brake axles allowing a legal GVWR of 7000 lbs. The trailer was designed to achieve a low center of gravity which provides a safe smooth towing experience. The low bed height also allows a very easy transition while using the ramp set to load. The most common uses for the Gator tandem utility trailers are: landscape equipment, lawn mowers, All terrain vehicles, side by side off road vehicles, Polaris razors, can am commanders, Yamaha rhinos, Honda four wheelers, motorcycles, lawn mowers, zero turn mowers, and also used as platforms to mount pressure washing equipment, those who need to tow cars or trucks, show car owners, farm operations, hauling hay or other agricultural items, and can also be used as a base for those who want to build a mobile bill board sign. Message: Thought you might be interested in this 2019 Gatormade Heavy Duty.